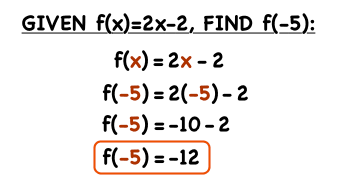 How Do You Find f(x) If You Have a Value For x? To solve a function for a given value, plug that value into the function and simplify. See this first-hand by watching this tutorial! How Do You Solve a Word Problem Using a Function? Word problems are a great way to see math in action! This word problem deals with calculating profit after a certain number of years. See how to use a function from the word problem to solve!